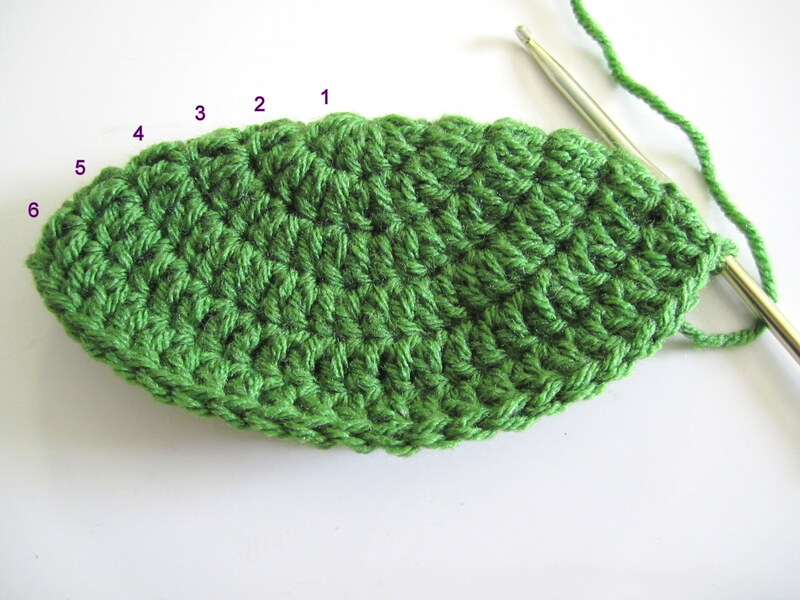 After the unexpected response I received for my Ninja Turtles hat, I am FINALLY posting this tutorial post! Several readers have asked for it and I love knowing I can make atleast 1 person happy with this pattern. Remember, I in no way consider myself an expert. This is a pattern I drafted up that works for me and I hope to provide it in a clear manner. I am available for any questions. Feel free to use this pattern to create as many hats as you desire, even to sell….Just remember to give credit where its due. Do not claim this pattern as your own. That’s not nice. For this tutorial I will be using a royal blue color for the “mask” worn by Leonardo of the TMNT. The size of this hat will be for a 6 month old baby. Photo tutorial can also be used as a guide for larger size patterns written at the bottom of this post. 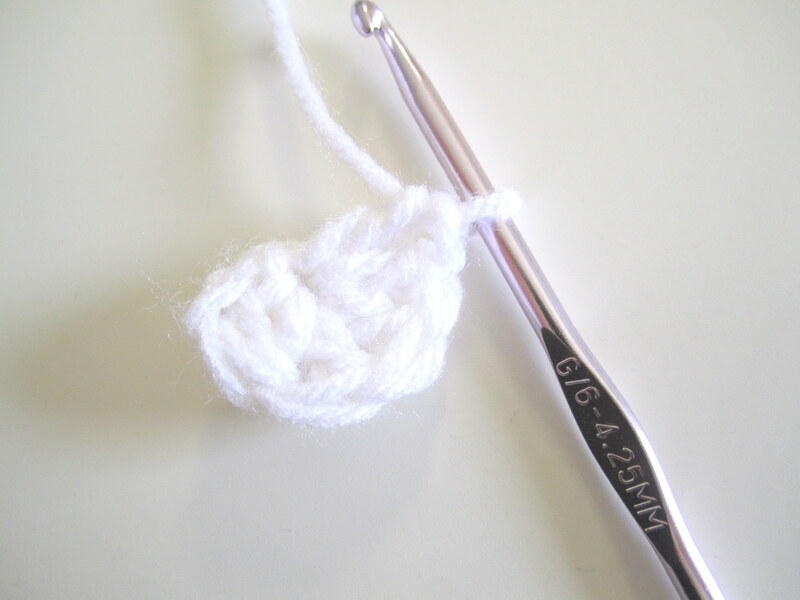 R1: with size H hook, begin the hat with a magic circle, chain 2, double crochet into the magic circle. 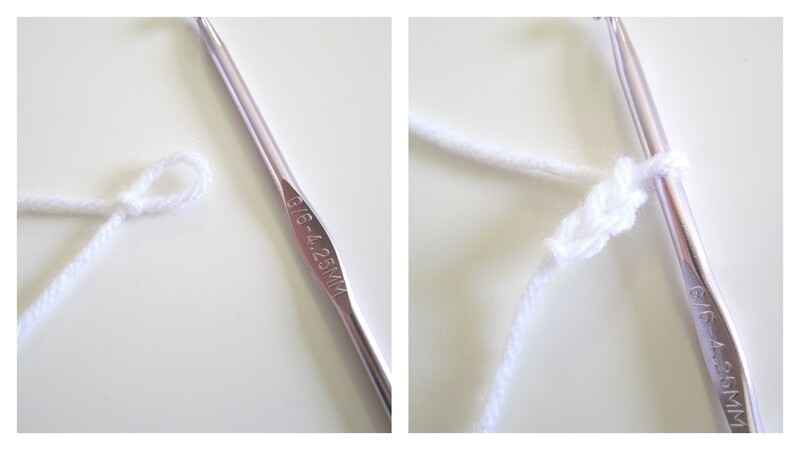 locate the top of the first DC of the round, slip stitch into the top of the stitch. 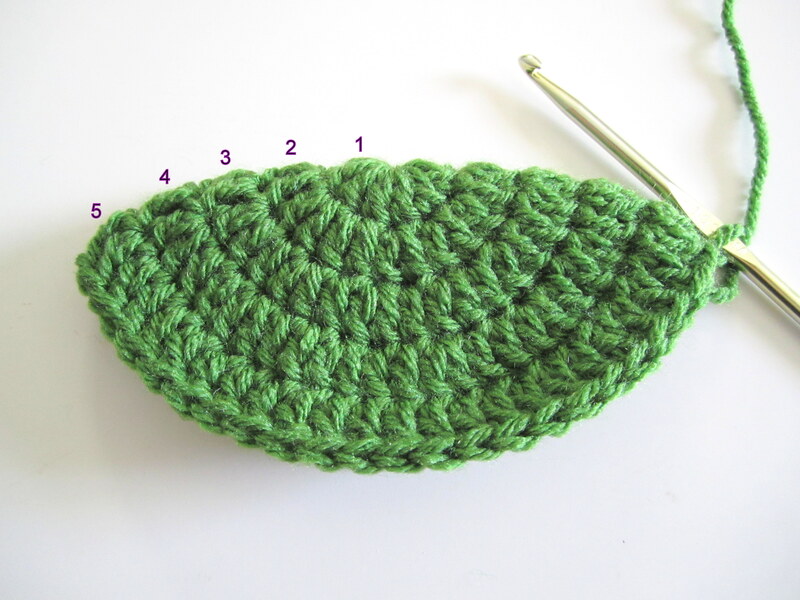 R4: Increase = ch 2, 2 DC into same stitch as ch 2, 1 DC into next stitch, 1 DC into next stitch. starting with this row, our project will slowly start taking the shape of a hat. once you reach the end of round 5, slip stitch into the top of the first DC like we have been. 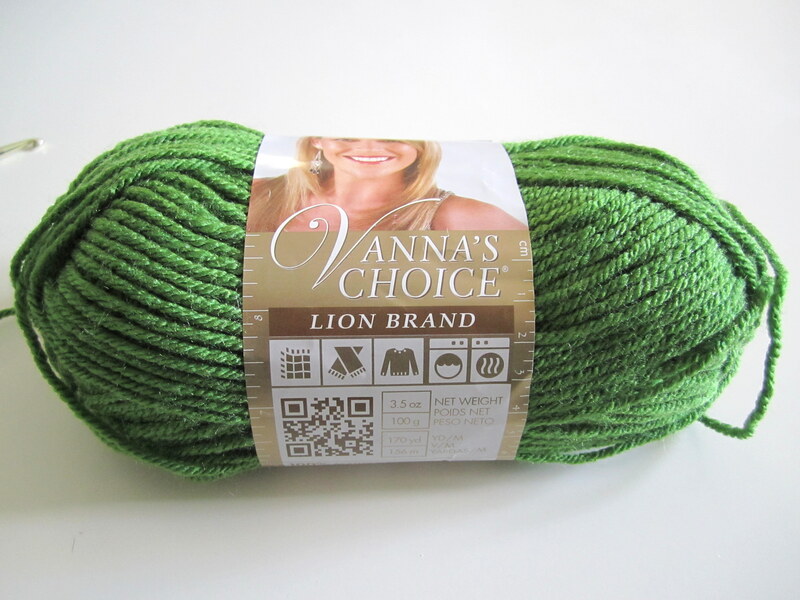 we will be preparing for the addition of the 2nd yarn color. My preferred method of doing this might be tricky at first, but it allows for a smooth color transition. pull 2nd color thru to complete the last DC of the round, tuck the green yarn behind your work (no need to tie off the green, we will be needing it again), and locate the top of the first DC of the round. slip stitch thru top of the first DC. There you have it! A smooth color transition. slip stitch thru top of the first DC. see the hat coming together? 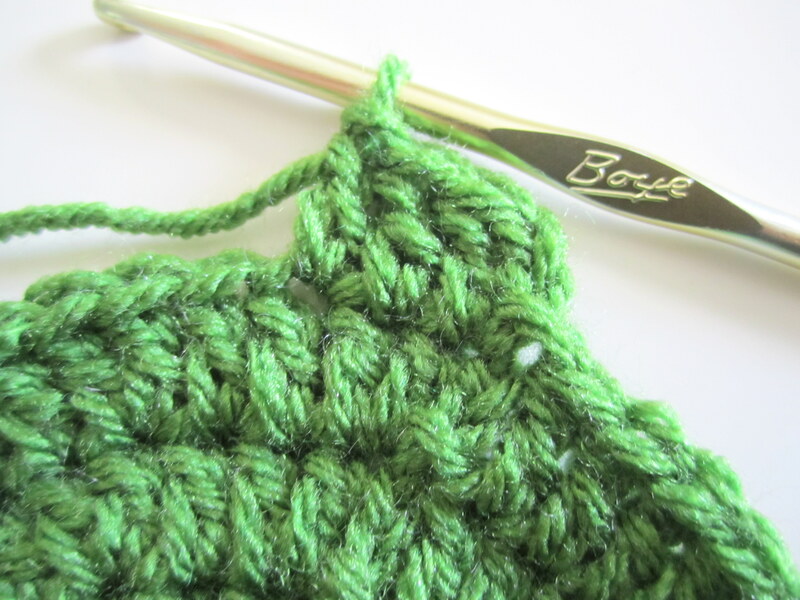 DO NOT slip stitch thru top of the first DC, we will be adding the green yarn back in for the next round. tie off at the end of this row. Base of the hat is complete! Now for the eyes. I am sure there are many ways to create the eyes needed for the TMNT look. Feel free to experiment on your own. Use felt, buttons, or anything you’d like. 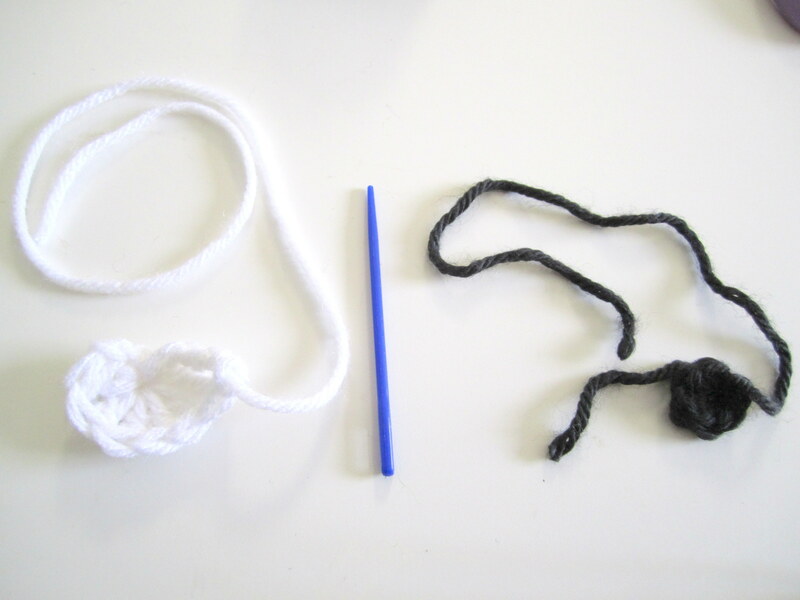 Grab your white and black bits of yarn, size G hook, and scissors. the half circle is nice, but we want more of a “winged” look for the eyes. 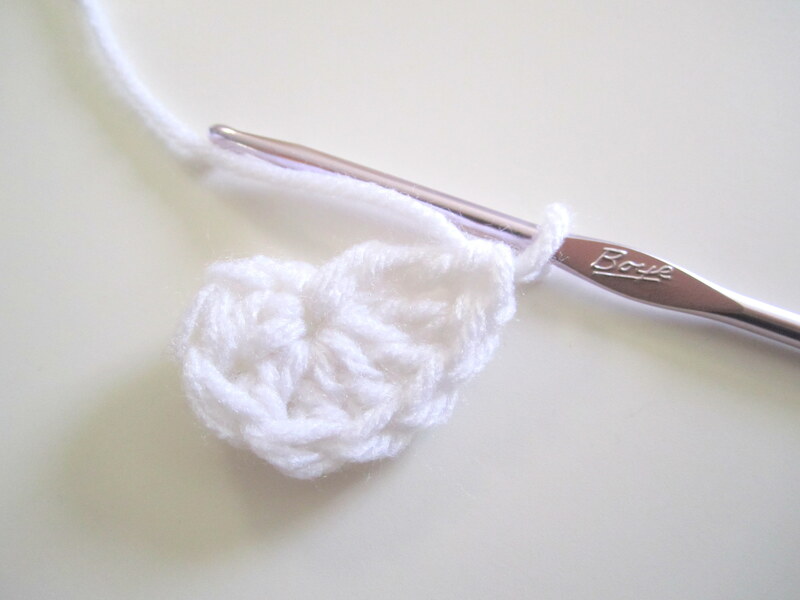 in order to achieve this look, treble crochet 2 into the same stitch we are already working in. 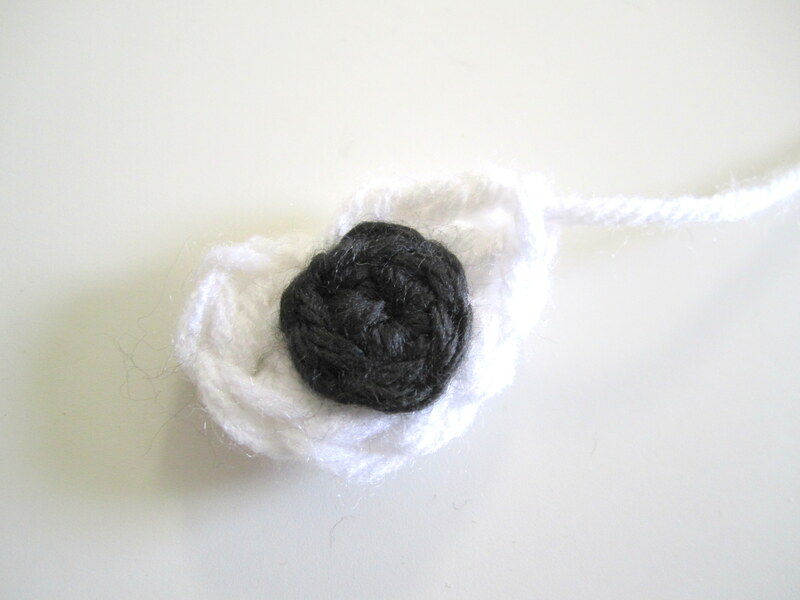 place the black circle where you like it, and start threading it directly onto the white piece. 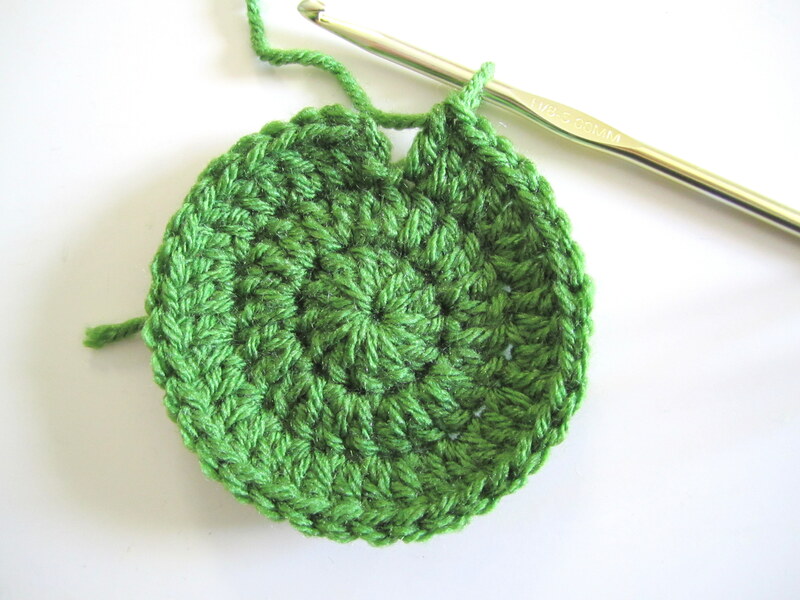 I go thru the center space and into the single crochets on the outside of the circle. Anyway will work, as long as its secure. 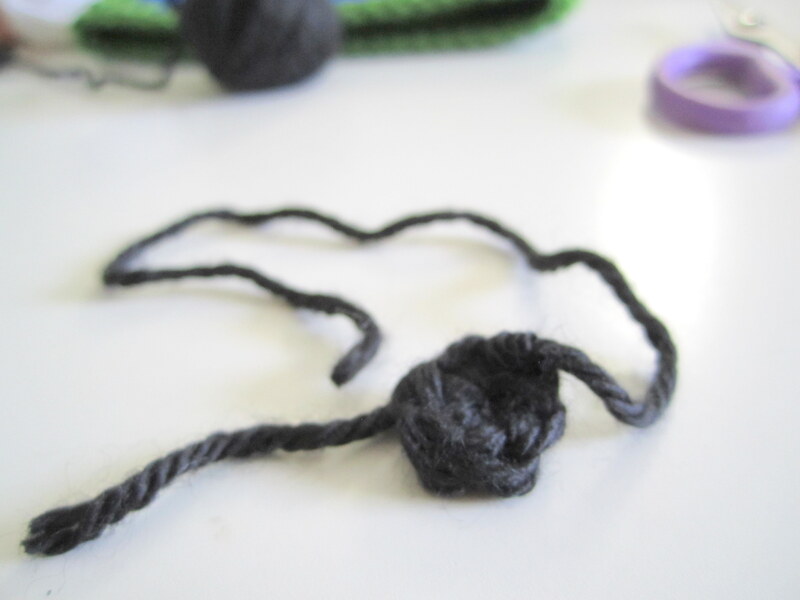 I finish by tieing the ends of the black yarn on the backside to keep the pieces from coming apart. EXCEPT the second “eyeball” (white part) will have to be flipped once complete before adding the black circle. It is necessary to finish the 2nd eye on the reverse due to the “winged” corner of the eye being on one end of the white applique. We want that “winged” end on both outsides of the eyes to give it that realistic face. and carefully start sewing the eye onto the hat. There is no wrong way to do this really. I just do it as neatly as possible to hide the stitches on the front. The inside can look like this and its ok! make sure to weave in your ends well. Now do the other eye. 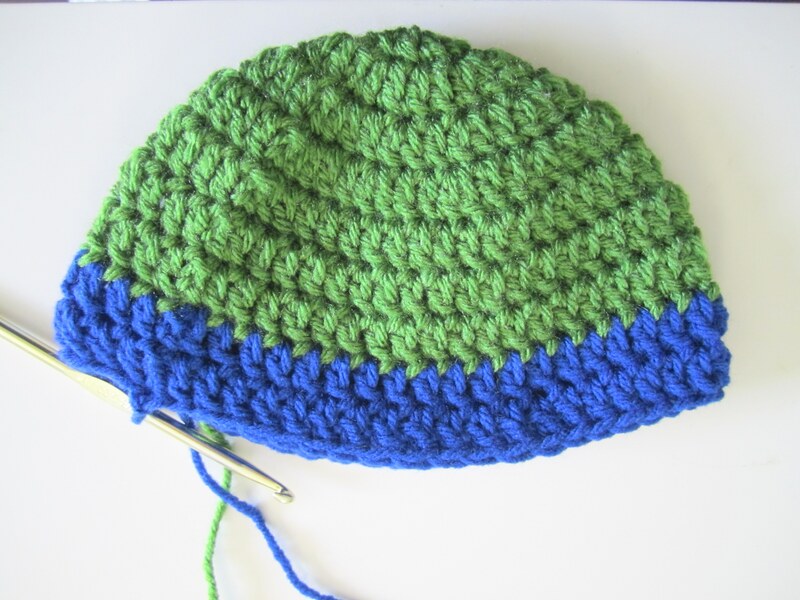 This finished picture tutorial measures 16 inches in circumference, perfect for a baby up to 6 months. This pattern can easily be increased for larger sizes. I will provide written patterns for those common larger sizes. All supplies remain the same. R5: ch 2, 2 DC in same stitch as ch 2, 1 DC into each of the next 7 stitches. *2 DC in next, 1 DC in each of the next 7*. repeat * * around. R6: ch 2, 1 DC in same stitch as ch2, 1 DC in every stitch around. R7: ch 2, 1 DC in same stitch as ch2, 1 DC in every stitch around. R8: ch 2, 1 DC in same stitch as ch2, 1 DC in every stitch around. R9: , ch 2, 1 DC in same stitch as ch2, 1 DC in every stitch around. R10: ch 2, 1 DC in same stitch as ch2, 1 DC in every stitch around. R11: ch 2, 1 DC in same stitch as ch2, 1 DC in every stitch around. 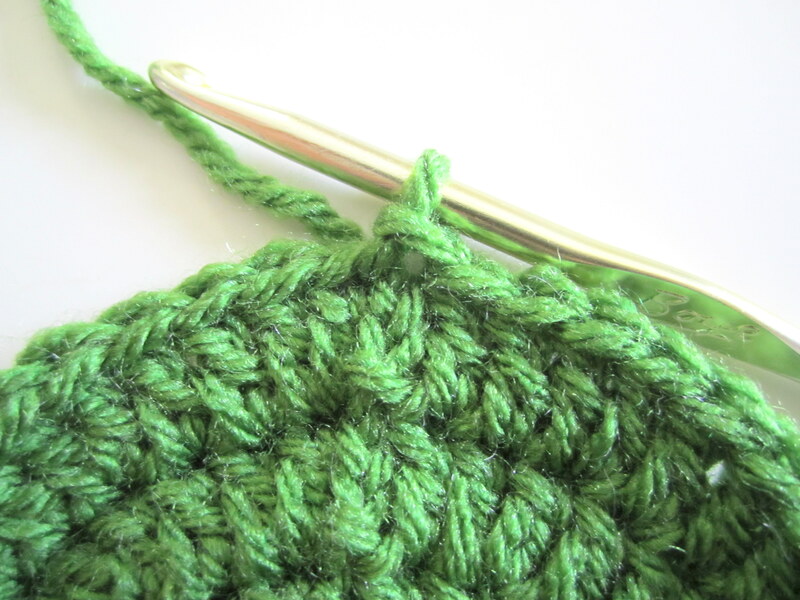 R12: < add green color back in for this round>, ch 2, 1 DC in same stitch as ch2, 1 DC in every stitch around. R13: ch 2, 1 DC in same stitch as ch2, 1 DC in every stitch around. R9: ch 2, 1 DC in same stitch as ch2, 1 DC in every stitch around. R10: , ch 2, 1 DC in same stitch as ch2, 1 DC in every stitch around. R12: ch 2, 1 DC in same stitch as ch2, 1 DC in every stitch around. 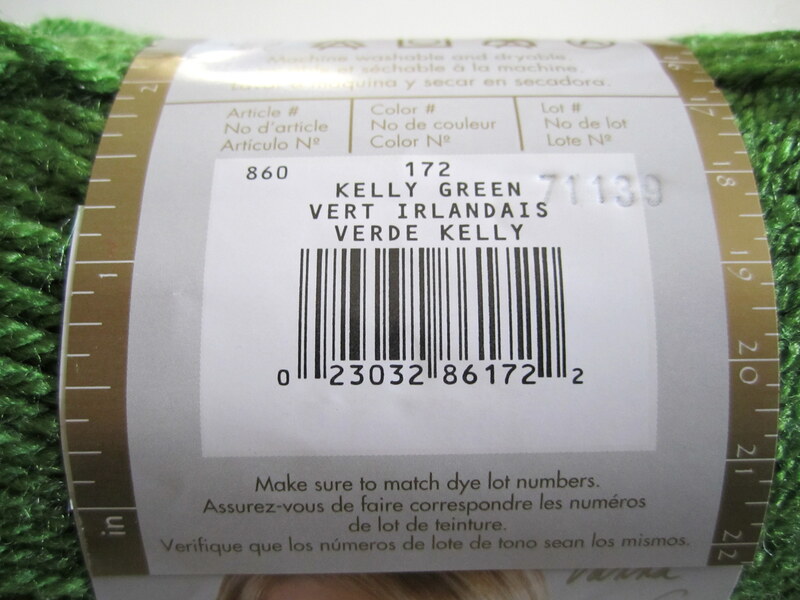 R13: < add green color back in for this round>, ch 2, 1 DC in same stitch as ch2, 1 DC in every stitch around. R14: ch 2, 1 DC in same stitch as ch2, 1 DC in every stitch around. R15: ch 2, 1 DC in same stitch as ch2, 1 DC in every stitch around. Like I said at the beginning of this post, I am available for questions. Feel free to use this pattern just remember to give credit where its due. Do not claim this pattern as your own. Thats not nice. 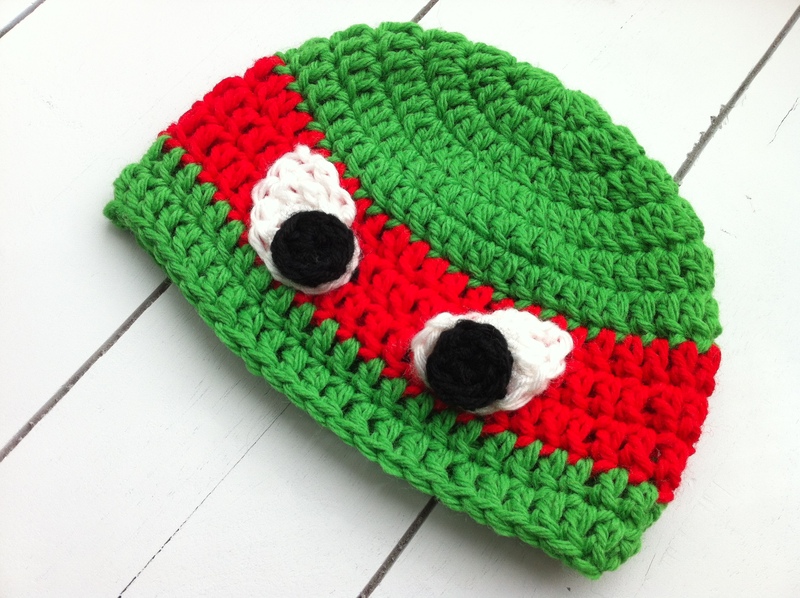 Teenage Mutant Ninja Turtle hat, my sister is sharing here pattern after OVERWHELMING requests (yours truly included). Enjoy! Your 4-10 says 9 inch circumference. That’s not possible…. How many rounds of green on the top portion would need to be added to make this an adult size? Hi! I would add another row of increase to the child size so that the circumference grows by atleast an inch to fit adult. Including the extra increase row, maybe 1 extra row should give you the length you need 🙂 hope that helps! At what part would you add another row? I see on the child’s size the last increase is row 5. Would I add another identical row or would there be a new pattern for row 6? And is that the only row to add? Also, which row should the color band start and end? Sorry for all the questions! Thank you for a great pattern! I am doing the Child 4-10 years old. Which row do I change color for the band? It says row 13 go back to green? The first color change should happen at row 10 … And then back to green at row 13. Hope that helps! That’s what I thought. The Toddler 1-3 years old color band starts at row 9? Great pattern thank you. My Grandson will love it. Thinking of making these as party favors for a birthday party. 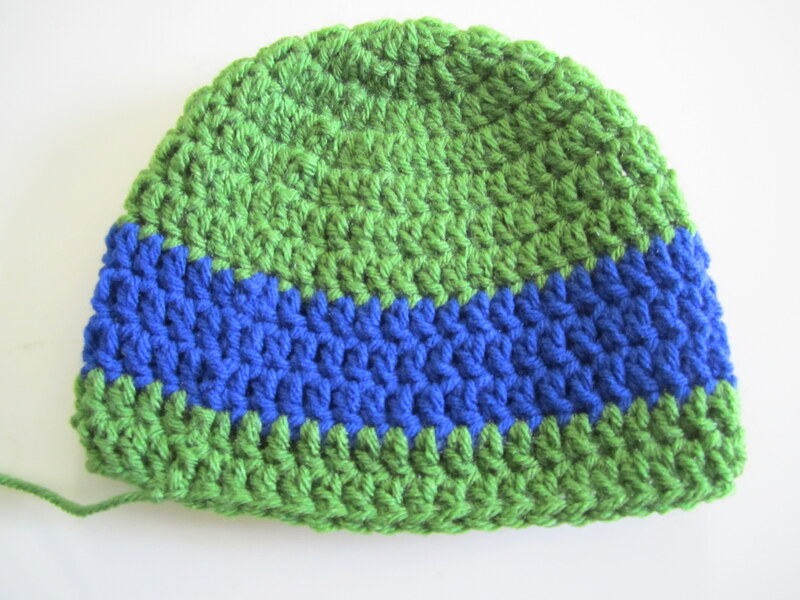 How many hats for the child 4-10 do you think one skein of the green will make? Hi there! Glad to hear you are going to tackle this project. 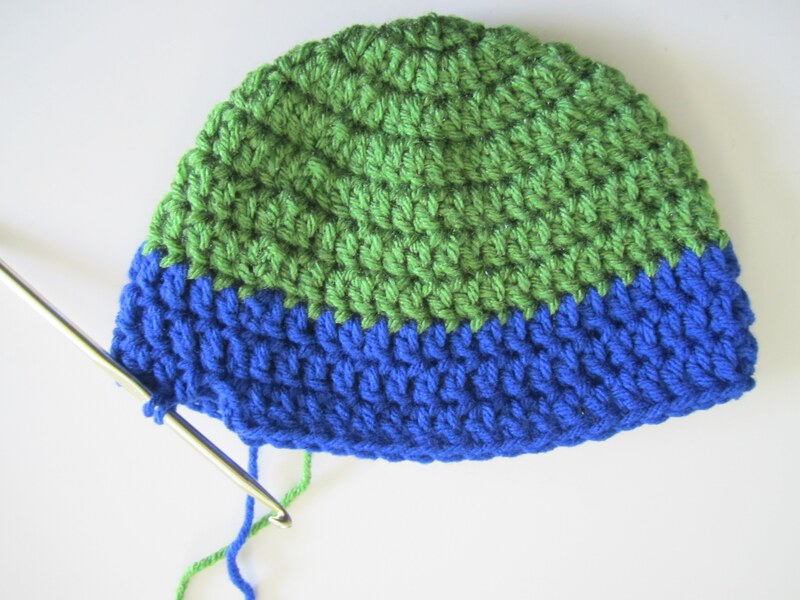 In this particular brand of yarn with the skein shown, you could get about 1.5 larger size hats. Hope that helps! Can you do this hat in half dc ? If so what changes would there be as far as rows done? Hi there! 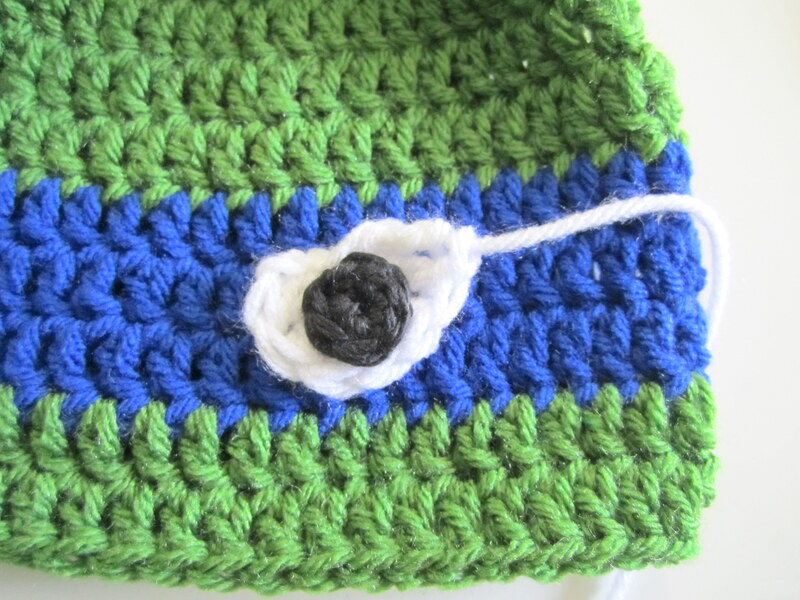 Yes, the hat can absolutely be done in half double crochet. 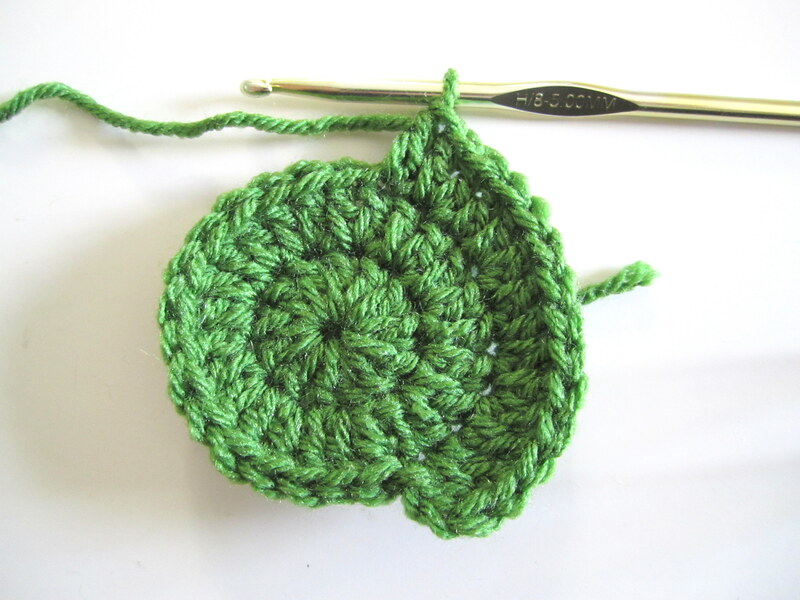 That would call for more increase rows in order to achieve the same circle diameter as in the double crochet. You would have more stitches per row as a result compared to this pattern. Hi! Just to clarify….it seems that no matter what size you make the band color is only 3 rows. Is that correct? Thank you! 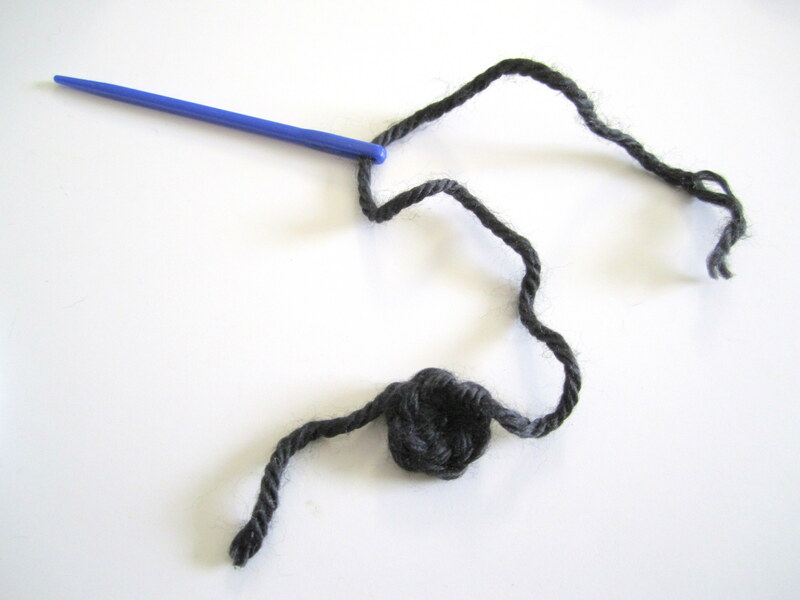 I have found your pattern to be both simple to follow and fun to make. My family/friends are going to enjoy these cute hats! At what part would you add another row for an adult hat? I see on the child’s size the last increase is row 5. Would I add another identical row or would there be a new pattern for row 6? And is that the only row to add? Also, which row should the color band start? Sorry for all the questions! Thank you for a great pattern! Hi there! For an adult size hat, simply add an increase row at Row 6. 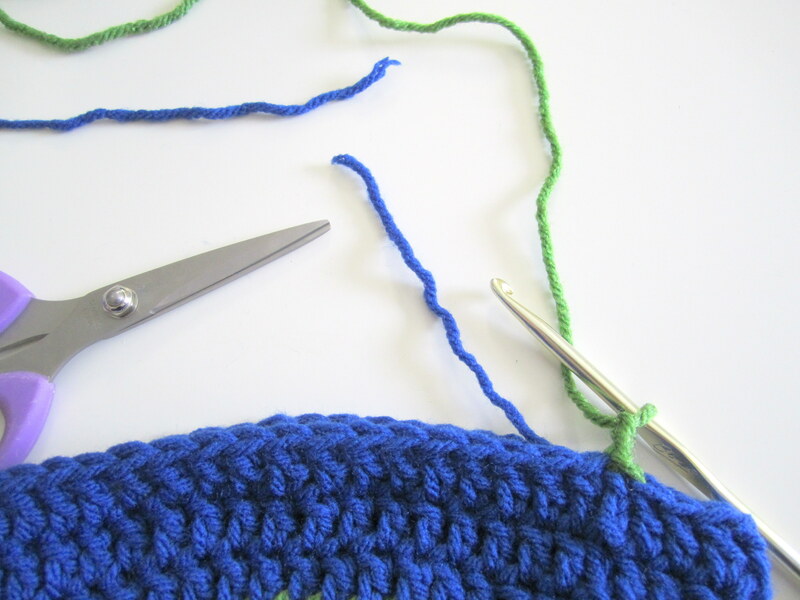 This row would require adding more stitches so that the total number of stitches goes from 60 to 72. In order to do that the row would be as follows: *2 DC in next, 1 DC in next, 1 DC in next, 1 DC in next, 1 DC in next* = (2,1,1,1,1). Row 7 will pick up where the old Row 6 is, 1 DC all the way around and continue with the child size pattern. 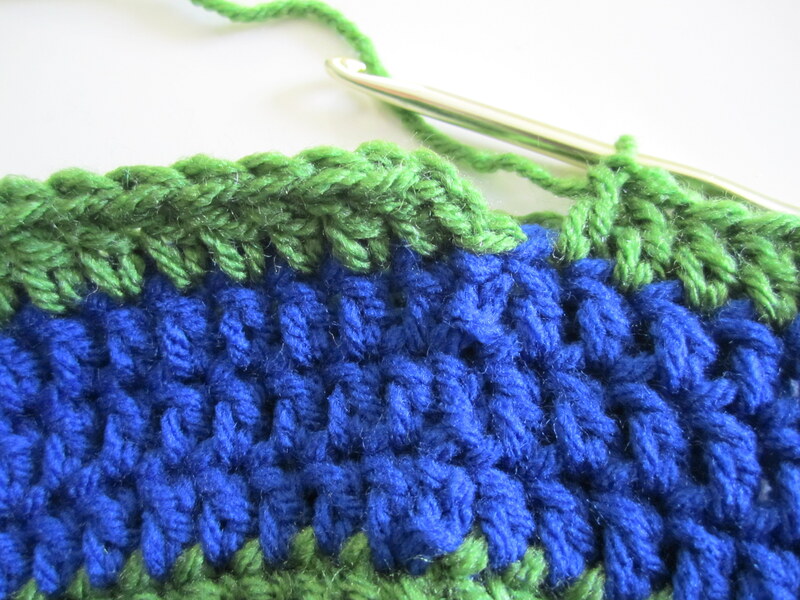 This added Row 6 also counts as the extra row which should give an extra 1/2 inch of length. Hope that answers your question! Absolutely! Thank you so much! 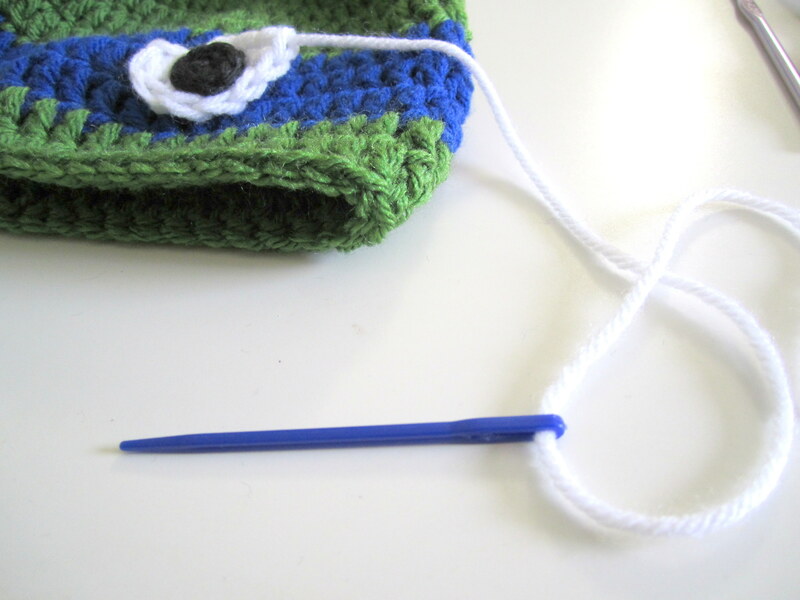 I haven’t crocheted since I was a teenager (long time ago) but wanted a knitting diversion. This is such a cute pattern and I’m making it as a surprise for a friend in the UK. You are my hero! Strike that…you are my son’s hero! I do all sorts of fun hats but I never thought about doing a TMNT hat. Thanks for the inspiration! 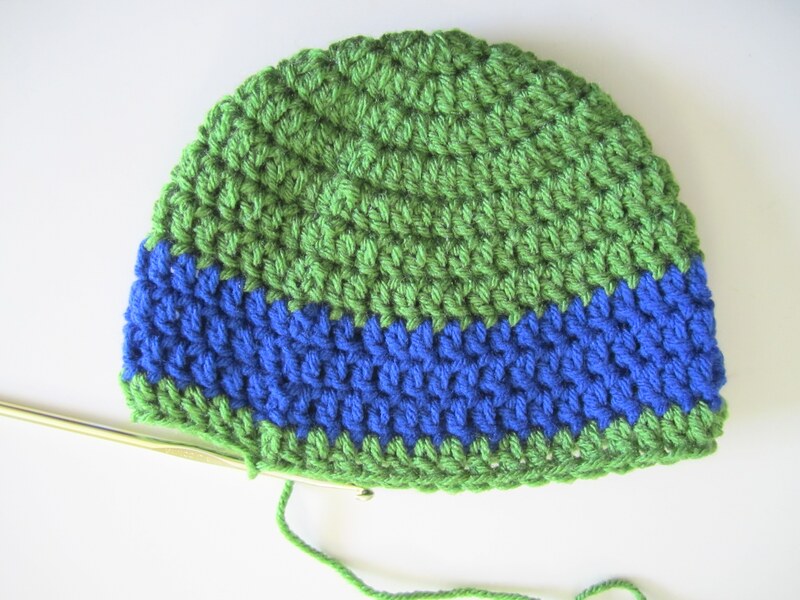 Love how easy this pattern is…I actually make all of my character hats in half double crochet, as most of my customers are looking for baby size hats. thanks for this very easy hat pattern, love the shape of the eyes. Hi, I (and my husband, specifically) are absolutely in love with this hat. Since my husband has a little larger head, I had to expand out to 84 stitches/row to make it fit, and now that I’m making the eyes, they seem small compared to the size of the hat. Do you have any recommendations on how to make the whites of the eyes any larger? Thank you so much for trying the pattern! I hope the size of the hat turned out the way you needed it to. I can see the eyes looking a little small for a hat that size lol. 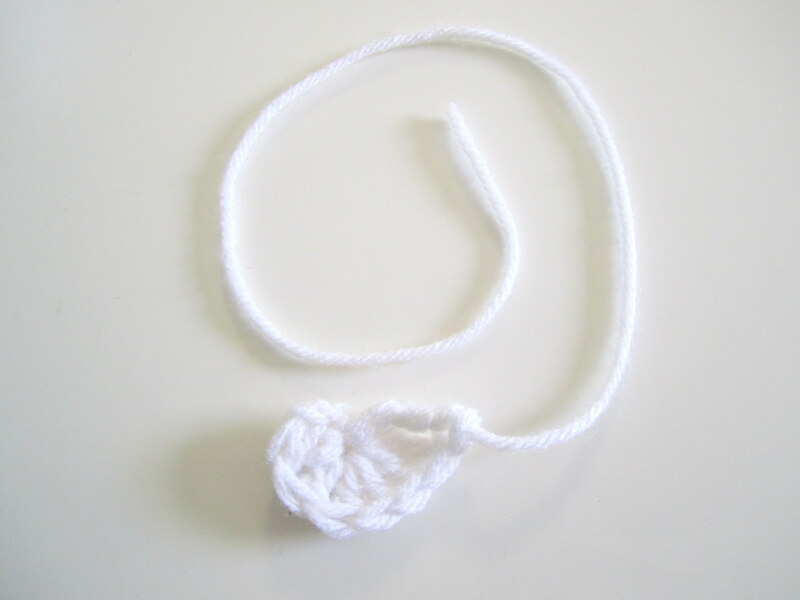 I would simply add another row to the white consisting of 2 single crochet in every stitch around. That should work! Hope it helps. How do your seams turn out? They shouldn’t be too visible once complete. I’m so glad I found your tutorial! This is the 1st one I’ve been able to follow and it turn out looking like a beanie, lol. I want to thank you for your tutorial, it’s very easy to follow, I look forward to following you. I’ve made 2 hats for my grandson’s and they fit perfect. Question: to make an adult size, do you just continue with additional rounds? That’s my guess. I’m a beginner to novice and reading some patterns are very difficult for me. Thanks so much for posting this pattern! 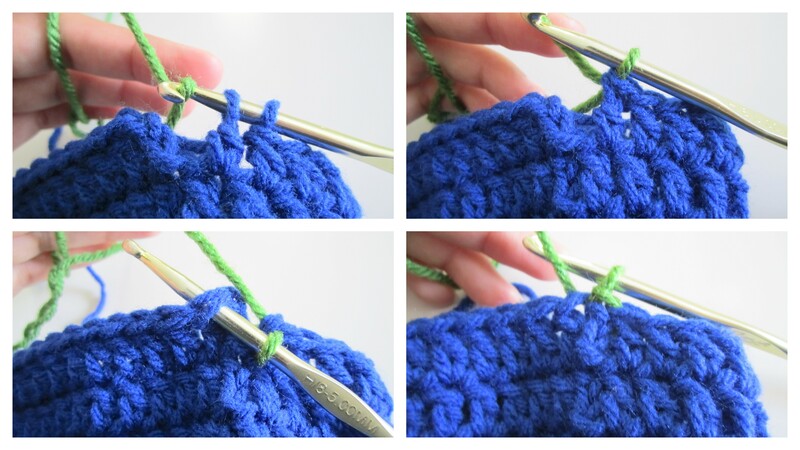 Very easy to follow for a new crochet-er. Made one for my nephew for Christmas and added earflaps (in green) following the instructions from the minion pattern. Next iteration will be an adult size for a friend with a large head (large even for an adult). 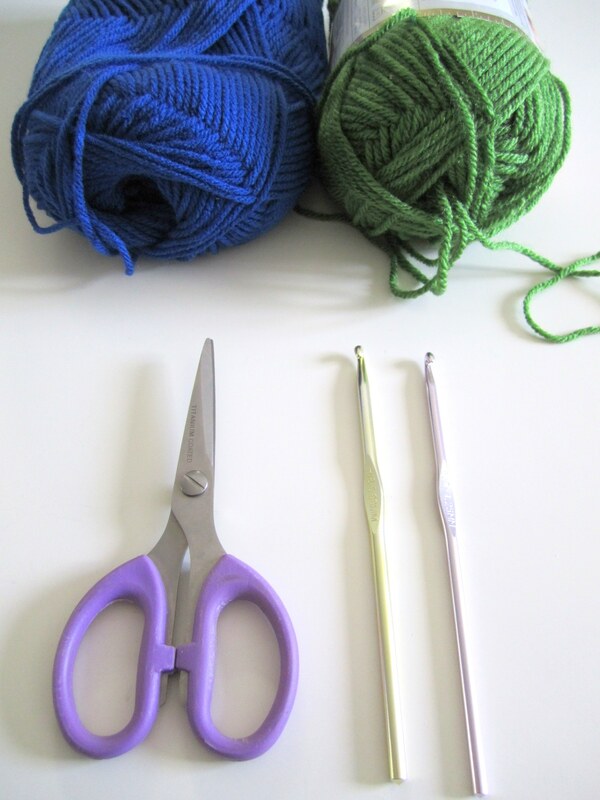 Pattern mods I’m planning to use (in case anyone else might find them helpful): Besides sizing up the crown, I’ll be doing 5 rows of half double crochet for the “mask” rows and will make the white part of the eyes out of 2 strands of yarn (still worsted weight) crocheted with an H hook. I already made one eye this way to test it out and it’s the perfect size for a large hat. Yay for successful experimentation! 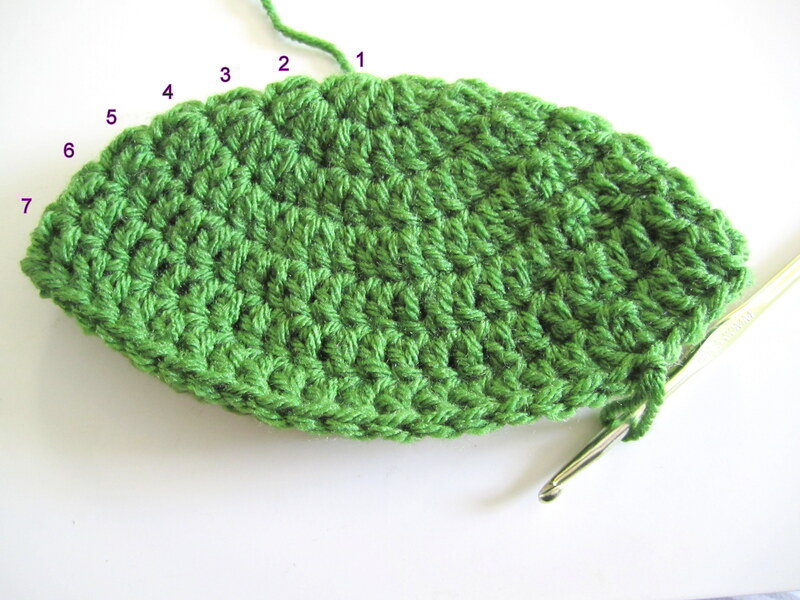 Just had to tell you…I followed the TMNT pattern instructions and it was quite easy. So I made a second hat, but using half double crochet instead of double crochet. 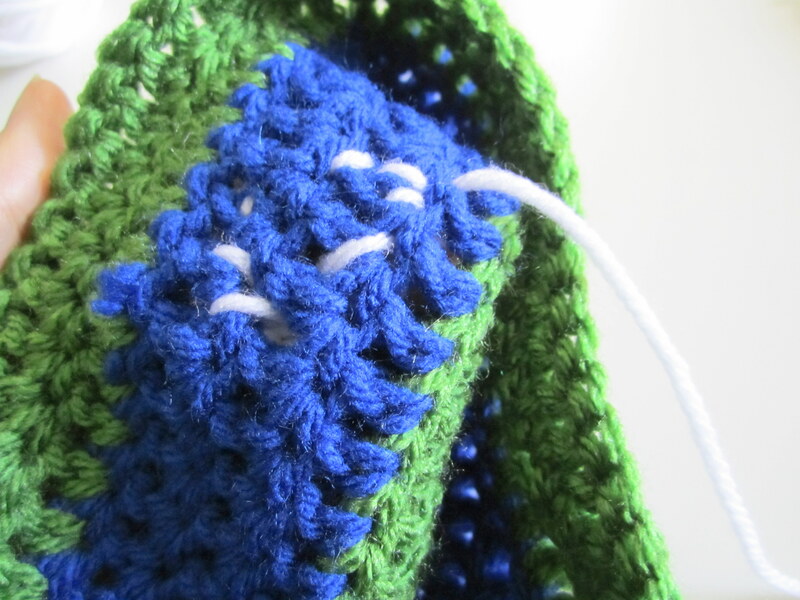 I just added a few more rows of the green and 1 more row of the blue. It turned out great! And the Minion pattern: You are very good at your instructions, which are easy to follow. 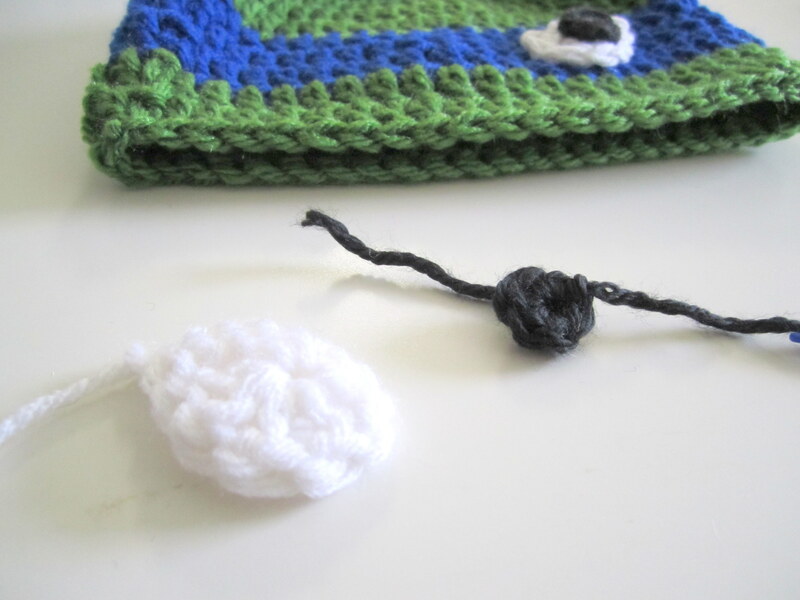 I changed the double crochet to half double (which I like to use for my hats) and I made 2 of them in different sizes. I had a craft show a couple of weeks ago and lots of kids liked the hats. I even got a custom order for 2 hats. THANK YOU for these patterns, they worked out great. Thanks for helping me make a 6 yr old boy happy ! I always find things to crotchet for his sister but he’s a lil tougher! You Rock! 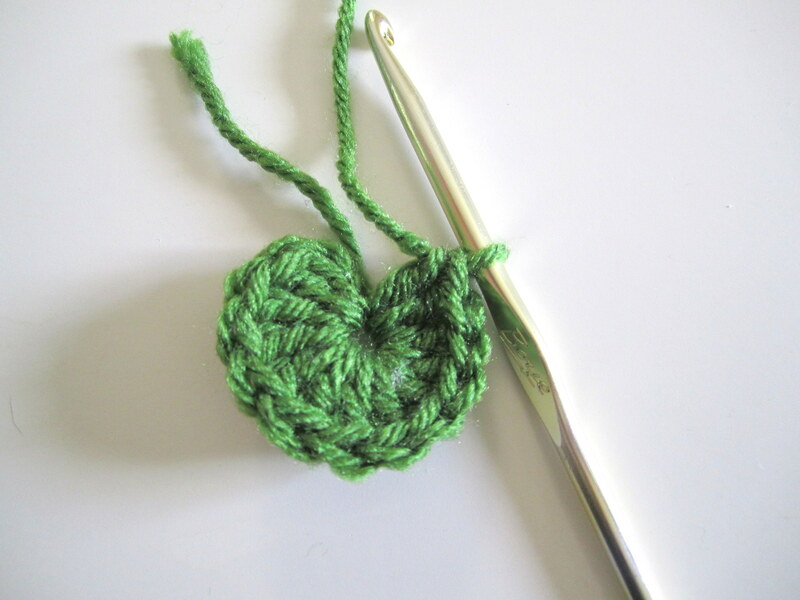 I don’t cut the green so that it stays as one continuous strand of yarn =) there will be a strand of green but it will be on the inside and not noticeable. That way you don’t have to mess with joining and having to hide your ends, keeps it cleaner! Thank you so much for posting this tutorial. 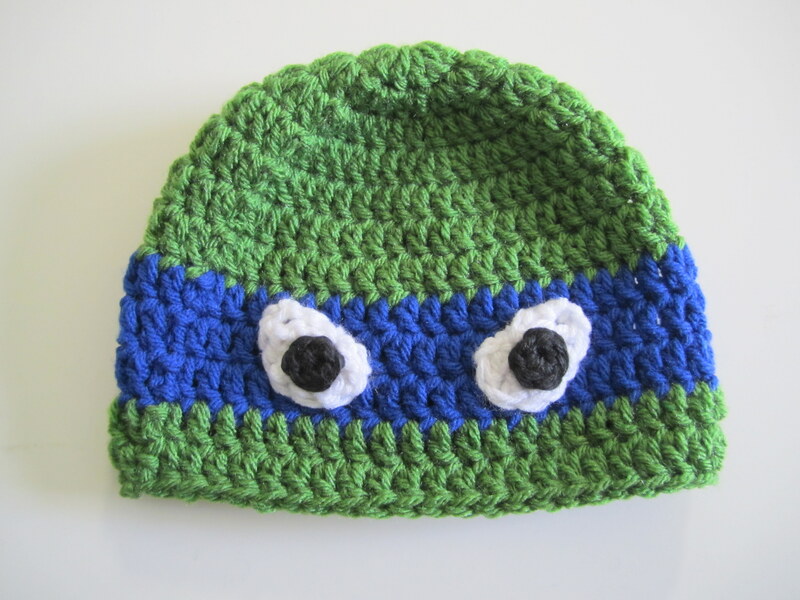 I just made the Raphael hat for my son. He is going to be so excited tomorrow morning. It is going to feel like Christmas again!!! Hello! What would I need to do for it to be a newborn size? Thank you so much for sharing but especially the tutorial. I am not a good crocheter But my daughter will love it. She has shown me so many patterns but was never at ease. 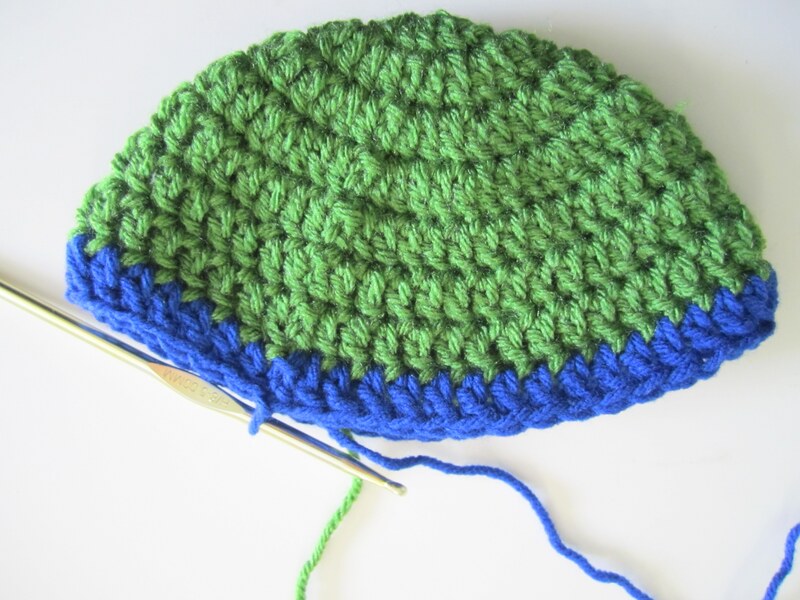 I am now attempting your pattern to be used as birthday hats for my 5year old grandson. My only problem is getting the right size. Made one that fits my head. 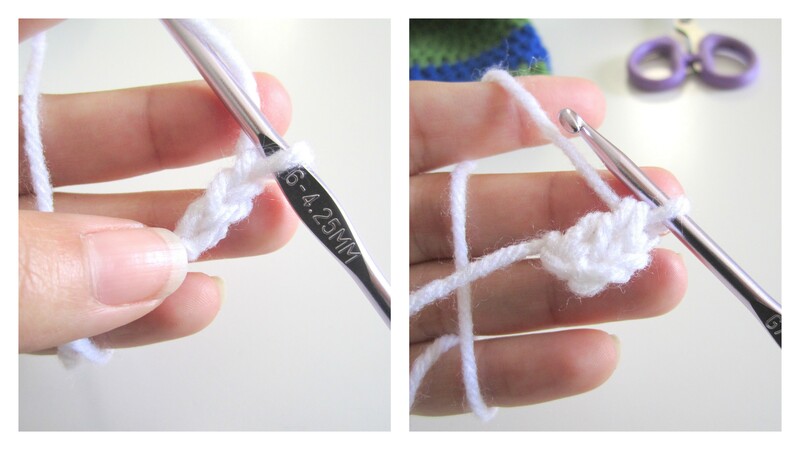 Now trying the same pattern using smaller hook. Wish me luck. Love the hat! Love the tutorial. Your instructions with pictures made it super easy! Thank you very much. 🙂 I’ll have lots of happy little “turtles” now! I just love your pattern!! You have written very well. 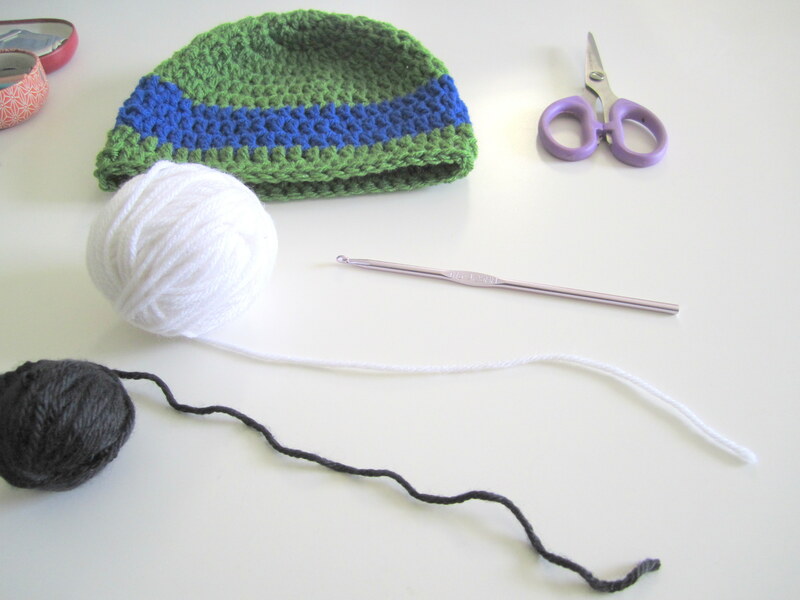 So easy to follow and the hat was finished before I knew it. Thanks so much.